Rosa David is the new managing partner at the LongHorn Steakhouse in Bismarck. David started with LongHorn six years ago as a server and has more than a decade of restaurant experience. She also has a bachelor’s degree in business and management. Sherry L. Morris, of Bismarck, an American Family Insurance agency owner, has been recognized under the insurance company’s American Star Excellence in Customer Experience Certification program. Morris has been an agency owner since 1996. The Bank of North Dakota has hired one new employee and promoted four employees. Samantha Yanish has joined the bank as a customer service representative for student loans. She most recently was an account manager at Vaaler Insurance. 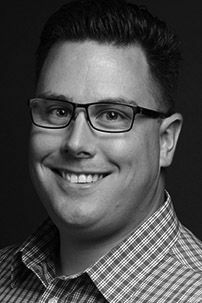 Chris Gergen was promoted from information system security analyst to information security manager. He has been with BND since 2014. Brenda Renner was promoted to bank operations supervisor. With BND since 2000, she has been a bank operations senior processing specialist. Rachel Subart was promoted to business banking associate lead. Subart has been on the staff since 2017 as a business banking associate and loan assistant. Tiffany Kapla was promoted to loan operations lead. Kapla has six years of experience in loan operations there, most recently as a business banking associate. 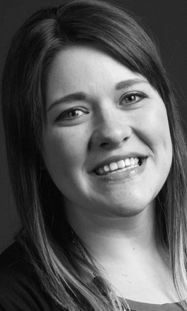 Hannah Hasbargen has been hired as a tax associate at Eide Bailly LLP, Bismarck. She is a graduate of the University of North Dakota with a bachelor of accountancy degree. Reed Hendrickson has joined Starion Bank as a business banking officer at the downtown Bismarck branch. A Bismarck native, Hendrickson studied at Bismarck State College and Bemidji State University.